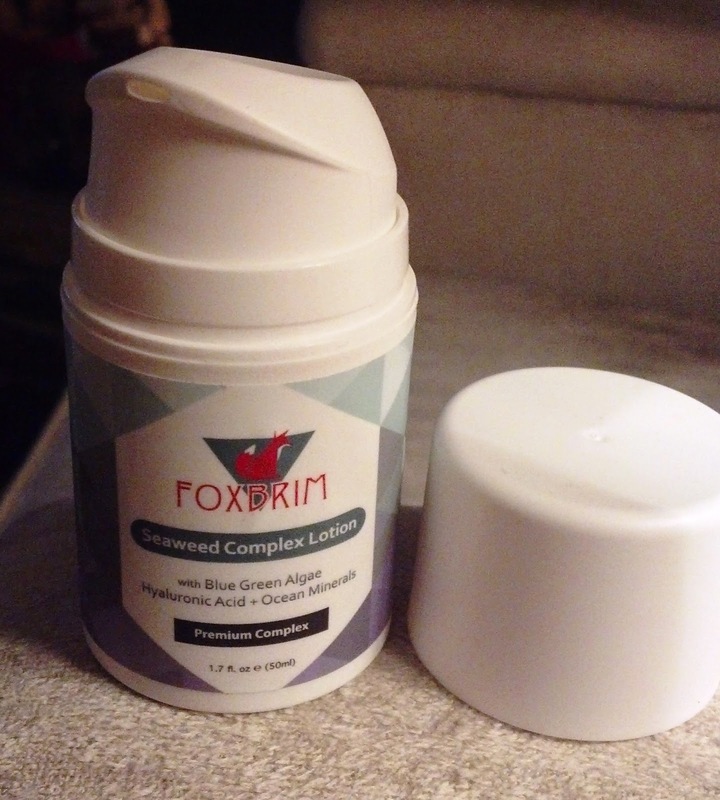 Foxbrim's Seaweed Complex Lotion is a daily moisturizer that uses phytochemicals, polysaccharides, and over 90 minerals and micro-minerals in a bioavailable format. The Organic Spirulina contained in this lotion is a blue green algae that helps reduce skin inflammation and boost antioxidants. It also contains Hyaluronic Acid which is a natural moisturizer and one of my favorite facial care ingredients. The Seaweed Complex light lotion and has a fresh scent that really does remind me of the ocean. It's very gentle on my skin and leaves my face feeling super soft and smooth. It feels both balancing and energizing, and leaves me with a healthy glow. Overall, I really like the feel and effect of this daily lotion plus it smells nice. It is also organic and natural which is really important in skin care products. My only complaint is that the bottle isn't big enough!